Susan King started practicing in Austin in 2001. She opened her practice at 11645 Angus road in January 2002. Dr. King practiced there until October 2009 and moved to her current Cypress Creek location in October 2009. Her practice started by working in close proximity to her father’s family medical practice; Dr. David King and Dr. Humberto Enriquez. She built her practice one patient at a time to what it is today. Many referrals came from both Dr. David King (retired 2004) and Dr. Enriquez (retired 2007) as well as many of the surrounding physicians. The guidance and mentoring from her Father and Dr. Enriquez was invaluble in helping Susan build her practice. Originally from St. Johns, Newfoundland Canada, Dr. King came to Austin in 1983 with her family. She completed her degree in Electrical Engineering in 1987 from the university of Toronto. She worked as an engineer for 6 years while simultaneously preparing and studying for entry to medical school. In 1993 Susan was accepted into medical school at Memorial University of Newfoundland. She completed her MD and a residency in Family practice in 1999. Dr. King worked as an ER physician and as a Locum Tenens in Family medicine for 2 years before moving to Austin with her husband in the fall of 2000. Dr. King and her husband live in Cedar Park and have 2 children. In her spare time she enjoys running and strength training at Gold’s Gym. She also enjoys baking and doing crafts and spending time with her children. Her clinical interests include Preventative Health Care, Endocrinology, Men’s and Women’s Health, Hormone Replacement, Psychiatry and Mental Health, Dermatology, Nutrition and Weight Loss. 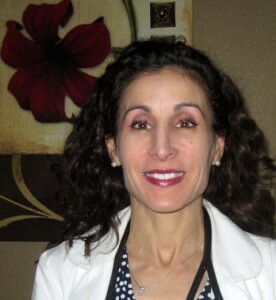 We are please to announce the addition of our new Nurse Practitioner Janet McTurk. Dr King has been looking long, far and wide for the right person and we think she is just right. Her Grandfather is even from Dr King’s home province of Newfoundland Canada. Previously, Janet has been an RN and worked for Cedar Park Regional Hospital before obtaining her advanced degree. She enjoys swimming in the ocean and traveling to Hawaii to visit her brother and her nieces and nephews. She resides in Leander with her husband. You will be seeing more of Janet in the office. She will be doing wellness visits as well as sick visits and can make sure you are on track with your current medications and labs. If you call for a same day appointment or are a walk in, you may see Janet instead of Dr King. Dr King is providing Janet with the necessary support, back up and training she needs to be able to assist you with your needs. Jessica has been with Dr King for two years now and knows how to run the office efficiently. She has had over 10 years experience in the medical field. She is from North Carolina originally and moved here from Florida with her husband and her son. When you call the office Jessica is more than likely the person you will get answering the phone. Jessica completes all insurance referrals and will be happy to answer any questions you have. We are pleased to announce our new medical assistant is Emily Lira . Emily has worked as a medical assistant for 7 years and has previously worked at Austin Area OBGYN and Fertility. Emily will be handling the back office and that includes calling patients about their results. She resides in Georgetown with her husband and two children. Emily is a graduate of Georgetown high school and Everest Institute. Julie has been working with Dr King for over 5 years. She has been the ideal protein coach for over two years. Julie has a gift for helping people with their weight loss goals. She has helped several people lose 60-100 lbs and keep it off. She is always available to meet with you to discuss if Ideal Protein is right for you. Julie lives in Cedar Park with her husband and her dog Charlie. Her Three children also live in the Austin area and two of them are in the medical field. Julie enjoys playing competitive tennis in her spare time.